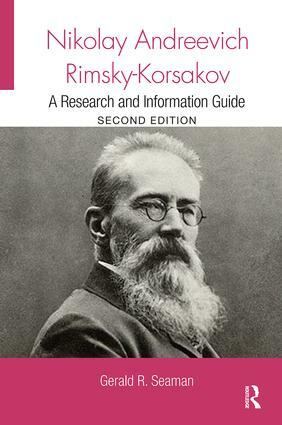 Nikolay Andreevich Rimsky-Korsakov: A Research and Information Guide, Second Edition is an annotated bibliography of all substantial, relevant published resources relating to the Russian composer. First published in 1988, this revised and expanded volume incorporates new information about the composer appearing over the last two decades, including literary publications, articles and reviews. Other sections provide a brief biographical sketch, selective discography, chronology and list of Rimsky-Korsakov’s works.